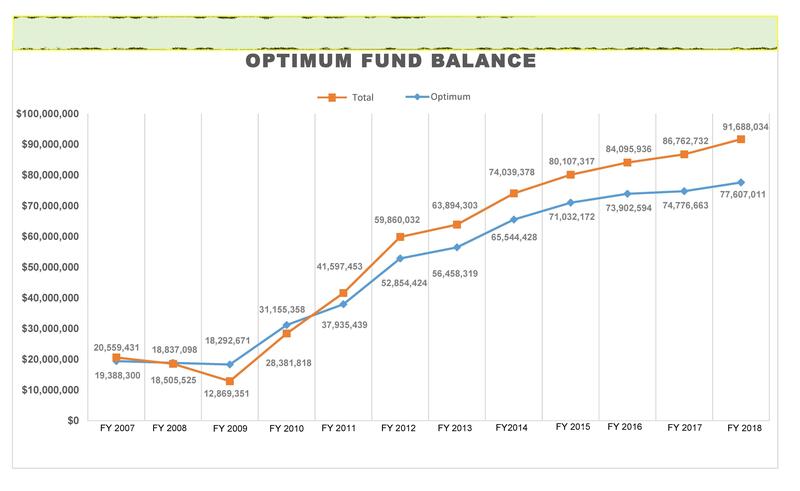 The District shall strive to maintain a balance in the general fund that closely approximates the optimum fund balance amount prescribed by TEA, as reported in the annual financial and compliance report. Districts use the General Fund to pay expenses related to instructing students. 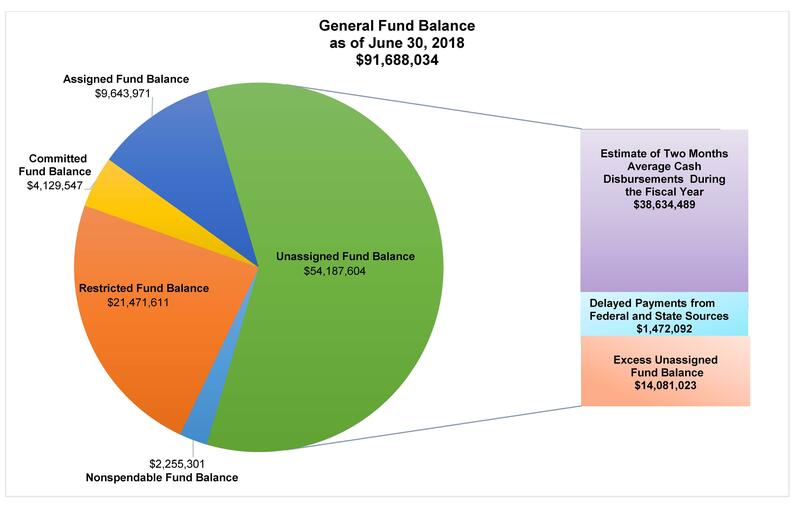 The amount reported as district’s un-audited fund balance is a snapshot. Fund balances will fluctuate daily. By resolution, the Board may commit a portion of the fund balance for a specific purpose. The committed portion of the fund balance should be spent for the purposes specified; however, the commitment may be amended by the Board at any time. The Superintendent or designee shall be authorized to assign a portion of the fund balance as may be required to meet the financial needs of the District. Fund balances are the culmination of the board’s financial decisions over many years. WHAT A FUND BALANCE IS NOT? WHY DO DISTRICT’S HAVE FUND BALANCES? WHAT IS THE RECOMMENDED LEVEL OF FUND BALANCES? The Texas Education Agency’s (TEA) optimum fund balance calculation requires school districts to add two months of cash disbursements to amounts needed to cover any cash flow deficits. McAllen ISD General Fund Balance at end of fiscal year 2017-2018 was $91,688,034. The unassigned portion of McAllen ISD’s Fund Balance at end of fiscal year 2017-2018 was $54,187,604. Our district’s fund balance meets the TEA standard. On June 25, 2018, the Board of Trustees approved the 2018-2019 school year budget. 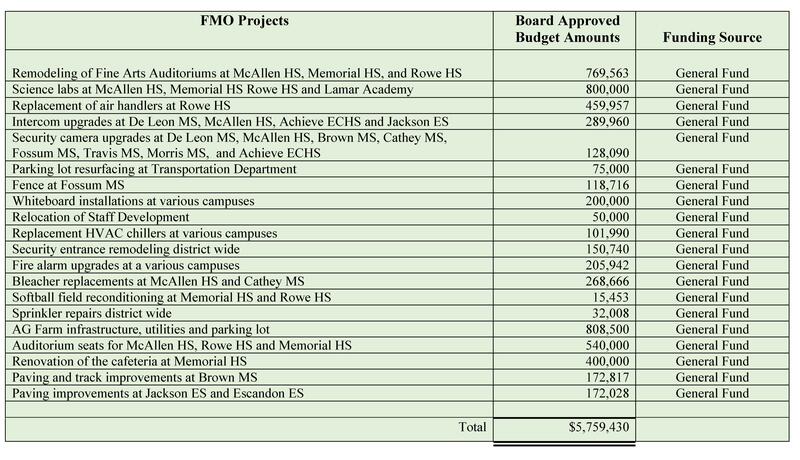 This budget uses $5,759,430 for FMO projects.